It’s Lindsay here, live from the internet on a co-teacher’s computer. Yes, I am blogging at school. Yes I am supposed to be planning for the semester. But seriously. Leave me to my own devices too long and I will finish a complete Washington Post crossword (well. almost. lichen component, anyone?) Check my e-mail 44 times within two hours. Check Facebook 45 times in one hour. Look at Jessica’s awesome new blog. Think about eating my chocolate bar I am trying to save for after lunch. 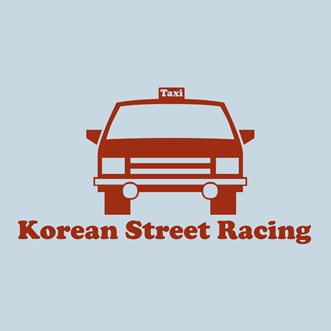 Discover a really funny t-shirt company that makes hilarious Korean jokes on them. Stare at Whit and wonder what he’s thinking about. E-mail the t-shirt company about sizes. Stare out the window to the sunshine. Drink a Diet Coke. Think about the chocolate bar again. Read the latest on the Obama/Clinton debate. Look at Jessica’s awesome new blog. Look at Brittany’s awesome new blog. Think about future baby names. Ask Whit what he thinks about future baby names. Check e-mail one more time. Think about what time it is in the states (10:39 p.m.) Wonder what we will have for lunch. Think about the choclate bar again, it does have almonds on it. Look at the clock. Think about what we’re doing for dinner tonight. Look at Whit and wonder what he is doing. Think about the chocolate bar. On a postive note. We did make up a game about vertebrates. Think to myself. What is a vertebrate? Wow! I wasn’t prepared for the blog redesign. It looks great. And I’m glad to know someone else can waste hours sitting in front of a computer because I do that ALL the time. It’s really unfortunate that most research and paper writing is done at the computer because I’m always so tempted to check email, check your blog, check email, check weather.com, check the news, check email, etc. On that note, I’d better get back to work! Oh my you Kill me buddy!!! As I read your blog I can feel your pain big time!